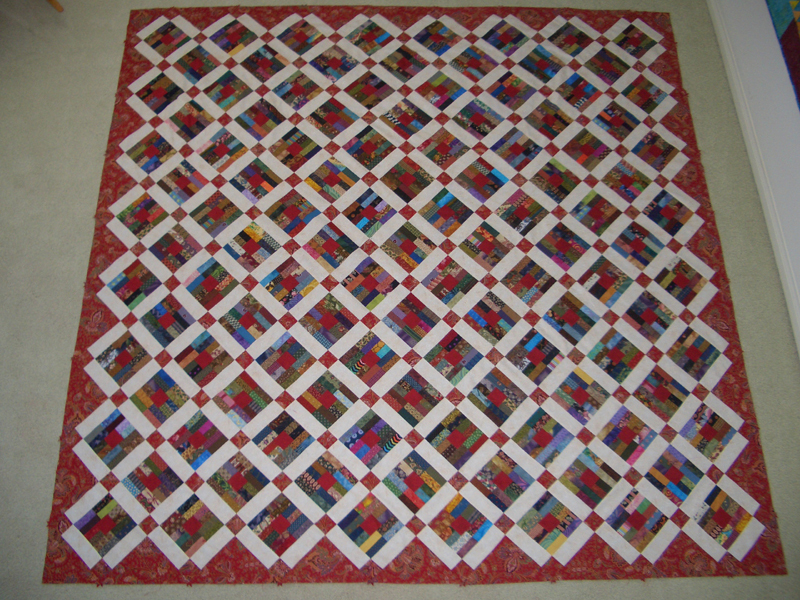 I am getting closer to completing the Ruby Slippers Quilt. 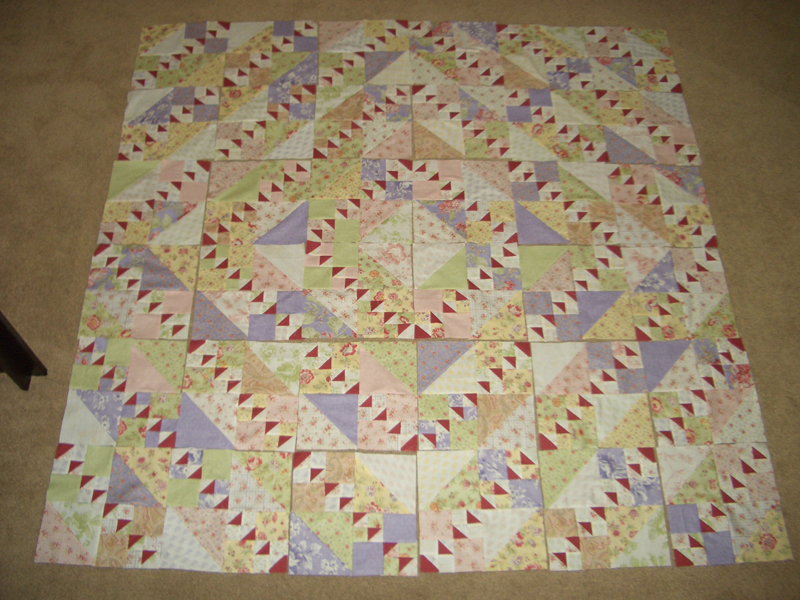 The blocks are arranged on the floor-to big for the design wall, and I just need to find time this week to sew together and add the borders. My goal is to have it completed by Saturday. Wish me luck! 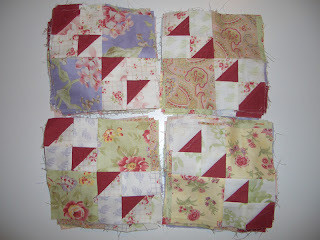 Have a great week and don't forget to check out what everyone else is working on at Patchwork Times. 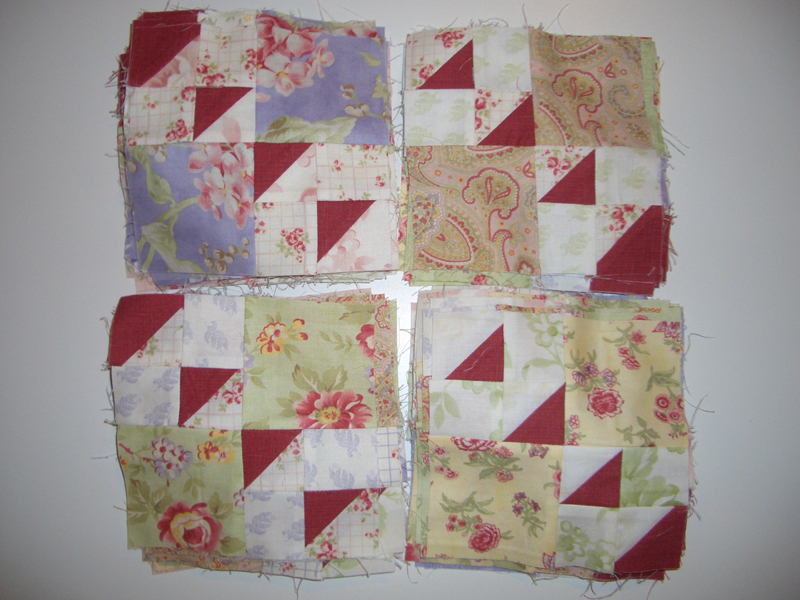 I am making progress on the Ruby Slipper Quilt. 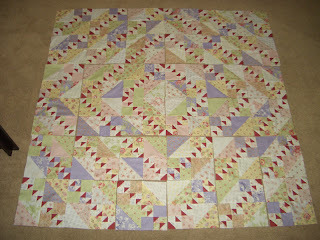 I have finished the first part of the block and will be working on the final half square triangles to add to the blocks below. Hope to have all the blocks finished and ready to sew the top together by the end of the week. Pile of blocks to be pressed. First part of blocks completed. Have a great week and spend a little time sewing! 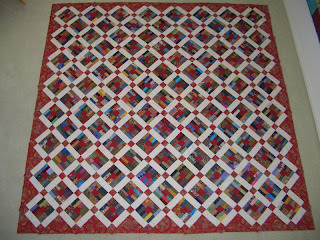 For inspiration check out all the other Design Walls at Patchwork Times. Last week I did not post my Stash Report, so I have a little catching up to do. 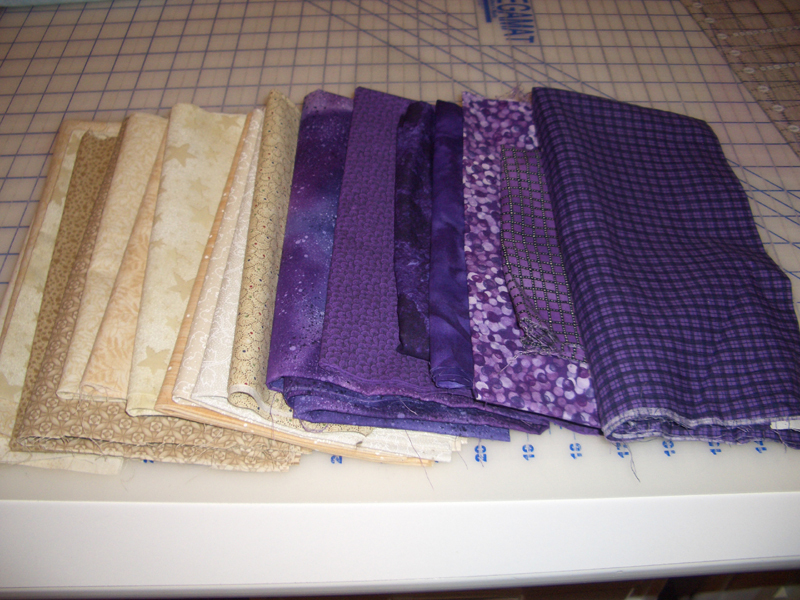 No finishes to report- have too many projects that are in "progress" Did make a couple of purchases. 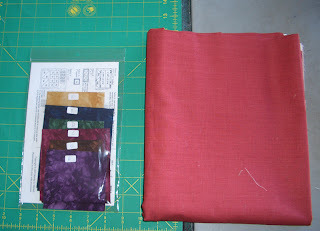 Could not resist the Bali Pops below that were on sale at Batiks Plus. 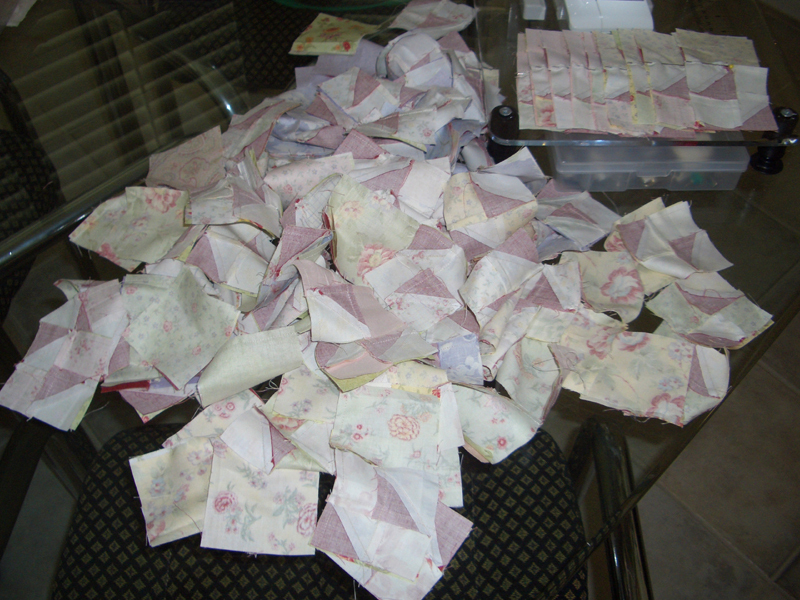 Not sure what I will do with them yet, but I am sure I have a pattern or two that they will be perfect in. 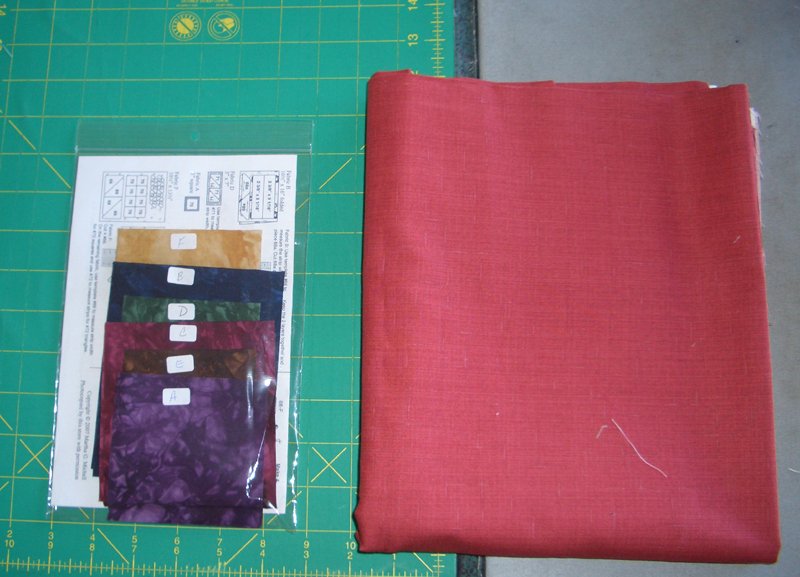 Also had to pick up a little more red for the Ruby Slipper Project that is my October UFO.